After a long wait when you finally receive notification from HDB that you can collect the keys to your new home. Identity cards of ALL persons (including occupiers) listed in the application. Original birth certificate of your children, if they are below 15 years old Or if you are buying the flat under Third child priority scheme. Power of Attorney if you are unable to attend the appointment personally. You are REQUIRED to purchase a fire insurance policy from ETIQA Insurance if you are taking loan from HDB. Head to level 2 of HDB Hub to purchase your fire insurance. You will need to take your queue number and purchase your fire insurance at the counter. Proceed to level 8 which you may take the lift at either lobby 1 or 2. You will need to scan the bar code of your appointment letter or your NRIC at the ticketing kiosk, and wait for your queue number to be called. The HDB officer will brief you on the payment details, paperwork and get you to sign all of them. Also, if you have yet to purchase the miscellaneous stuffs, your HDB officer will brief you all the necessary and get you to settle all of them before coming back to collect the documents and keys. You will also be given a tax invoice to pay conservancy charge of $69.50 (cash or NETS). Proceed to level 3 cashier counter and produce the tax invoice to pay for the conservancy charges. After making the conservancy charges at the counter, bring the receipt to level 8 again. The HDB service officer will officially hand you the sets of keys and documents in a A4 black folio. Finally, you can activate your electricity and water at SP Services at level 2. It will be activated immediately after you open an account. The whole process will take around 45 minutes to an hour depending on the timing. Hope this guide will be of help to you so you know what to expect and prepare for. 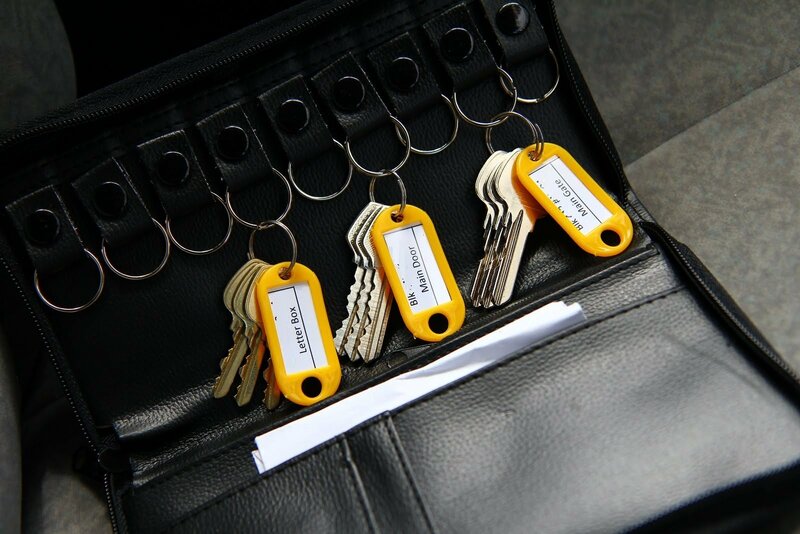 Check for any defects and if you have found any within 7 days upon receipt of your keys or before any renovation works. If you are not able to notify within 7 days, you can contact the Building Service Centre directly and request for an extension. Congratulations, again, to your new home!